Gear movement – before and after camps, we need to move drum kits, PA systems, amps, guitars etc. out of/into storage. We need a small army of strong arms for this! Event staffing – GRC Madison tries to get out to events and into the community to spread the word about our programs. We call upon our volunteers to help staff these events, handing out fliers, selling merchandise, raffle tickets etc. 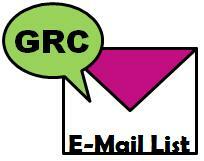 Fundraising efforts – if you have an idea for a GRC fundraiser, please email us at grcmadison@gmail.com and we will put you in touch with our volunteer Events Coordinator. Other! Let us know what you have to offer. PO Box 45587, Madison WI 53744. Due to overwhelming response, Sessions 1 and 2 are closed to registration. Session 3 is still open. Registration for the Girls Rock Camp 2019 summer sessions and the Ladies Rock Camp May 2019 session opens Dec 15th at 9 AM. Sessions fill quickly so SAVE THE DATE!! GREAT HOLIDAY GIFT FOR YOU OR SOMEONE YOU LOVE! Due to overwhelming response, Sessions 1 and 2 are closed to registration. Session 3 is still open.